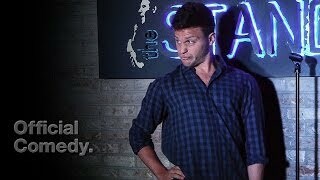 Jon Rudnitsky is a true multi-hyphenate artist, transitioning seamlessly between film, television, stand up comedy, and sketch work. He will be starring opposite George Clooney in the upcoming Hulu series CATCH-22 (based on the Joseph Heller novel), coming out in May 2019. Rudnitsky can currently be seen in the Tyler Perry movie NOBODY’S FOOL, alongside Tiffany Haddish and Whoopi Goldberg. Rudnitsky was added as the only new cast member of the 41st season of NBC’s legendary SATURDAY NIGHT LIVE, where he was featured in a host of sketches, most notably his DIRTY DANCING routine featured on the Weekend Update, which was considered a season highlight. In 2017, Rudnitsky starred in the Nancy Meyers produced feature HOME AGAIN, opposite Reese Witherspoon. He is also featured in a supporting role in Edward Burns’ SUMMERTIME, a standout of the Tribeca Film Festival, and Netflix’s comedy SET IT UP opposite Glenn Powell and Zoey Deutch. On the small screen, Rudnitsky’ s credits include NBC’S CHAMPIONS, Disney’s BIG HERO 6 series, Amazon’s RED OAKS, and Comedy Central’s THE COMEDY JAM, where he performed “Footloose” alongside Kenny Loggins. As a stand-up comedian, Rudnitsky has toured all over the country and was selected as one of the “New Faces” at the prestigious Just for Laughs Comedy Festival in Montreal. He studied and graduated from USC’s BFA Acting Conservatory program where he was given the John Ritter Memorial Award for Outstanding Comic Performance. Rudnitsky was born and raised in the suburbs of New Jersey and currently lives in Los Angeles.